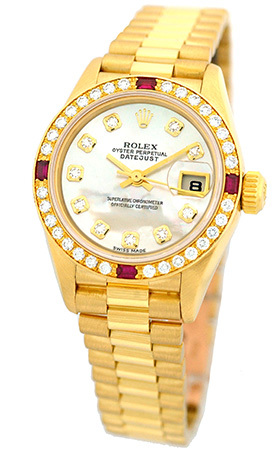 Certified Pre-Owned Lady's 18K Yellow Gold Rolex Diamond and Ruby "President". 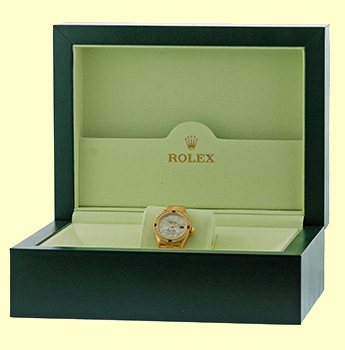 Factory Rolex White Mother-of- Pearl Dial with Diamond Hour Markers, Yellow Gold Hands, Center Sweep Second Hand and Date Indicator. 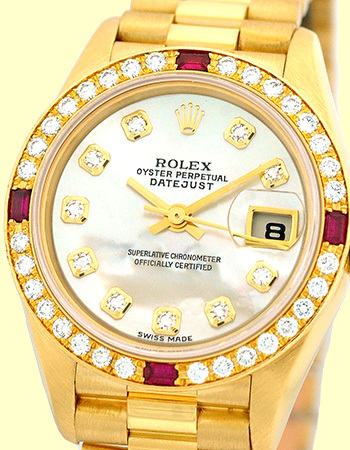 Factory Rolex 18K Yellow Gold Ruby & Diamond Bezel, Quickset Movement, Sapphire Crystal. 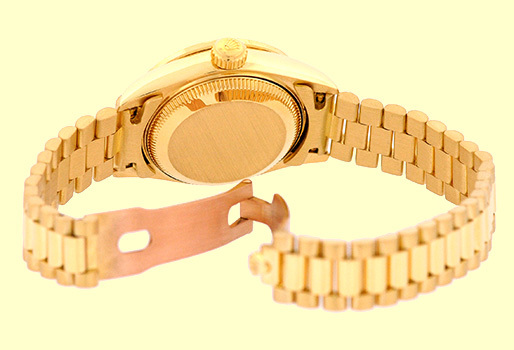 Matching 18K Yellow Gold Rolex "President" Bracelet.